Pandemic Board Game – Infectiously Great! Last night was the irregular meeting of the Floating Citadel Irregulars – a bunch of hangers-on who basically turn up at servitob’s house every once in a while in a vain hope that one day they may get a chance to publish on the almighty 6 Inch Move blog. Either that or they just need somewhere with appropriate snacks to go to when their wives kick them out for the evening like the feral flea bitten cats they are. This meeting had board games in mind, and someone brought along Pandemic for a first time play through. We read the rules, assembled the pieces and were off in short order. 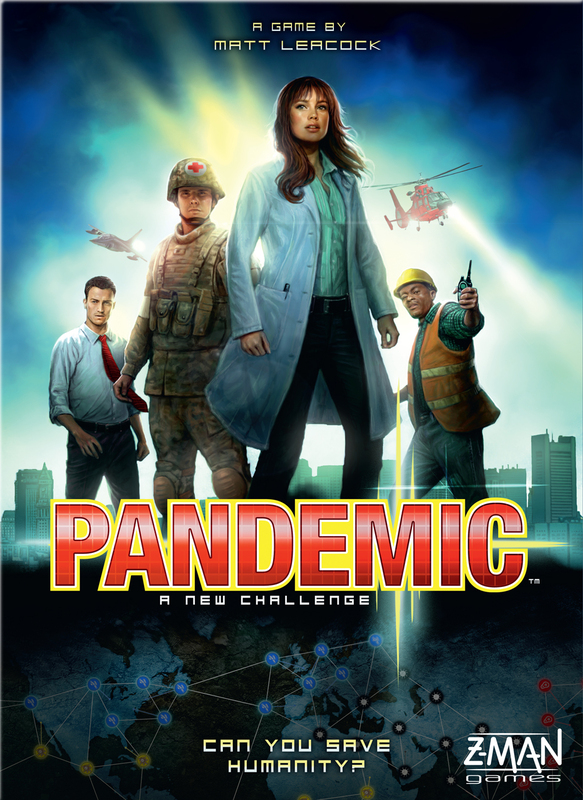 Pandemic is a co-operative game where players must cure deadly diseases and stop outbreaks of apocalyptic plague. Each player is assigned a rules-bending role in this team of bug fighting heroes and must work with other team members against the clock to save humanity. To be blunt – it’s a brilliant game. The co-operative nature means everyone loses or everyone wins, no-one has to play as the bad guys here. The rules are deceptively simple yet demand strategic thinking to achieve victory. At every point of the game the tension and excitement is just right; it’s a hard game but the challenge simply keeps you on your toes rather than being disheartening. The game also isn’t overly long – about 45 minutes to play through which is certainly a change over most other games. The fact that after we lost to the bugs in our first game yet everyone’s reaction was to play again is a sign of how good this game is. Two thumbs up, way way up! It’s been a while since I picked up a paintbrush so recently I spent a bit of time painting this up. It all started last week when a friend a I went to Games Lore. SDE is a good fun game, so I was planning to pick it up at some point. I’d hate to be in the predicament of it going out of print and then having to fork out to pick up a shoddy copy on fleabay when the kids are old enough to play it. We got a tour of the place and I bought a copy for myself. It’s been good fun getting back into painting. Normally I paint really fast using a black undercoat. This was the first time in about twenty years where I’ve painted off a white undercoat. The differences are startling. With a white undercoat the colours are much more vivid, however brush precision is essential as you have to cover every part of the mini to get a decent result. To aid this I used some flow enhancer which helped a lot. With a black undercoat colours are much more muted and often require several layers to get the correct colour, however any parts you don’t paint simply look shaded. Obviously all you long standing and reading googlespiders know all this already as there are loads of decent articles on mini painting out there on the internet, but nothing beats licking that brush tip and getting stuck in! 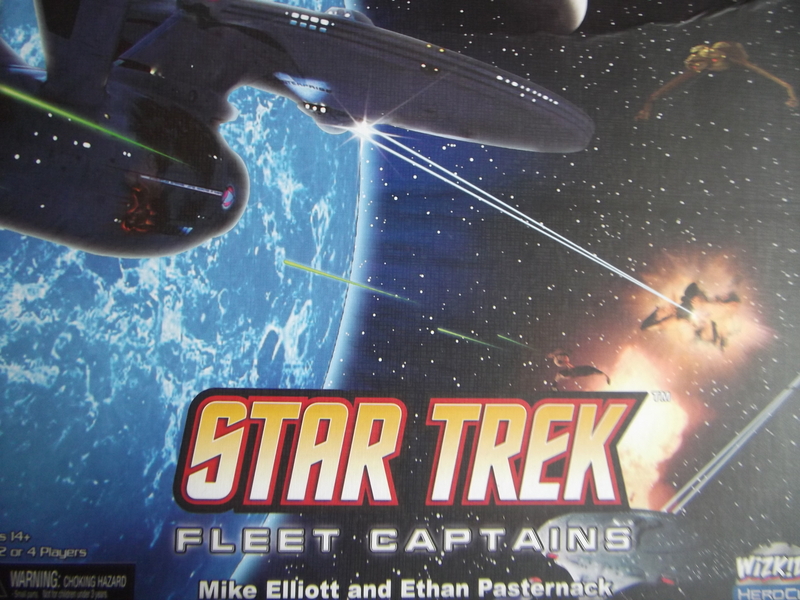 Sticking with my theme of Star Trek games from my last post a couple of weeks ago I thought I’d talk about the latest addition to my gaming collection; Star Trek Fleet Captains by Wizkids. I came across this game a few weeks ago whilst sailing around aimlessly on the internet, it grabbed my like a well placed tractor beam and I duly sent the appropriate subspace communique and latinum deposit to purchase it. It came last weekend and like a kid a Christmas I very quickly unwrapped it and started making “pew-pew” phaser noises with my new little ships. So what’s in the box? You get everything you need to up to a 4 player game. You have two fleets; Federation & Klingon, each containing 12 ships. 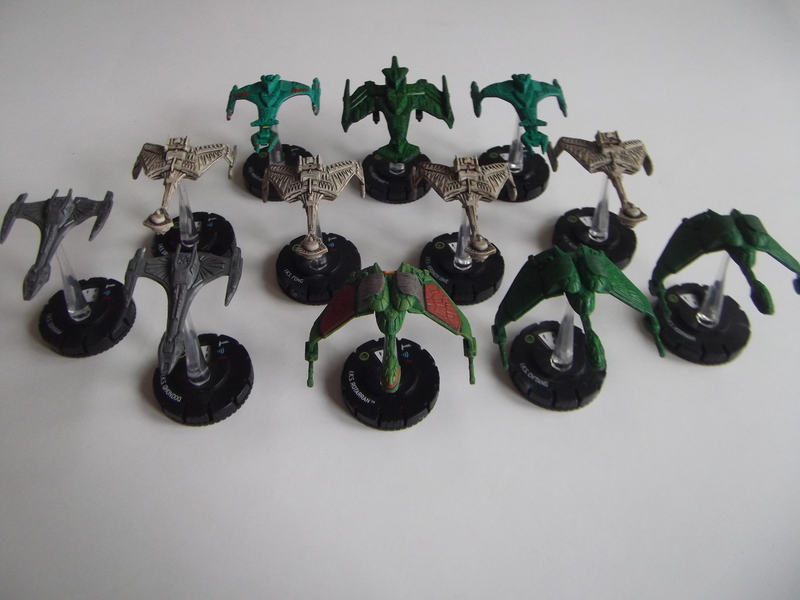 The Federation come in a grey plastic, the Klingons green. 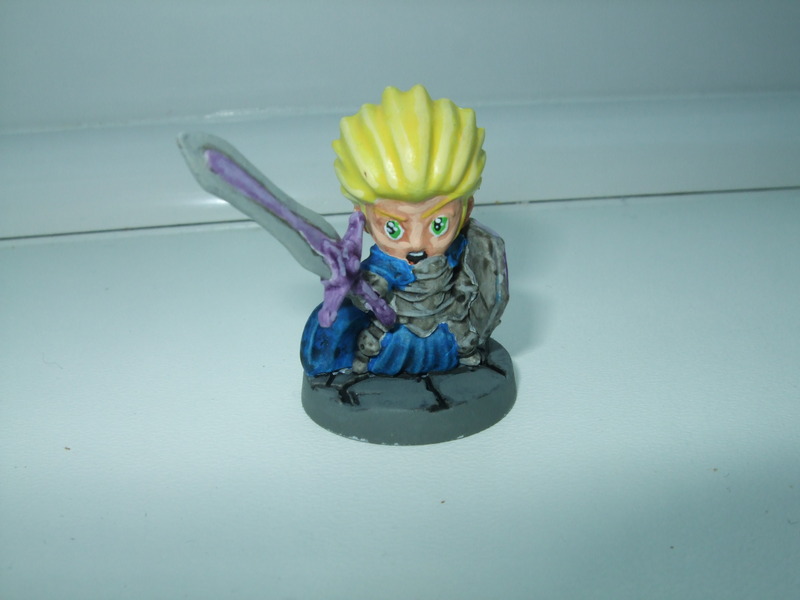 I have since started painting the miniatures, and so they no longer look like they do in the box, but here’s some pictures. The Federation fleet consists of a wide variety of vessels all of which should be familiar to fans of the show and are named; Enterprise E, Enterprise A, Excelsior, Voyager, Defiant, Venture, Yosemite, Prometheus, Yeager, Sutherland, Reliant & Equinox. The Klingon fleet has less variety in the models (as Klingons seem somehow unable to come up with as many ship designs as Humans & Vulcans – must be something to do with all that bloodwine). But they’re all from the shows; 1 Negh’var, 2 Vor’cha, 4 K’tinga, 3 Birds-of-Prey and 2 Raptors, and are also named from ships in the show – the Negh’var, the Rotarran, the Bortas etc. Each ship in the game is unique and has its own stats on both a ship card and on its base. The ship’s stats are Weapons, Sensors, Engines and Shields. In each case the number is the bonus to a D6 roll that the ship gets, with engines also being how far it moves in game. The wonderful little Heroclix bases allow you to alter where you allocate power by twisting the bottom of the base around. Each ship has 12 different power settings with different numbers on each of the 4 stats. They are also colour coded (blue, white, yellow & red). Blue is used when cloaked, white for undamaged, yellow when your ship has taken 1 damage and red when your ship has taken 2 damage. After 3 damage your ship is destroyed. Each ship also has a stats card with all of the power settings on it. 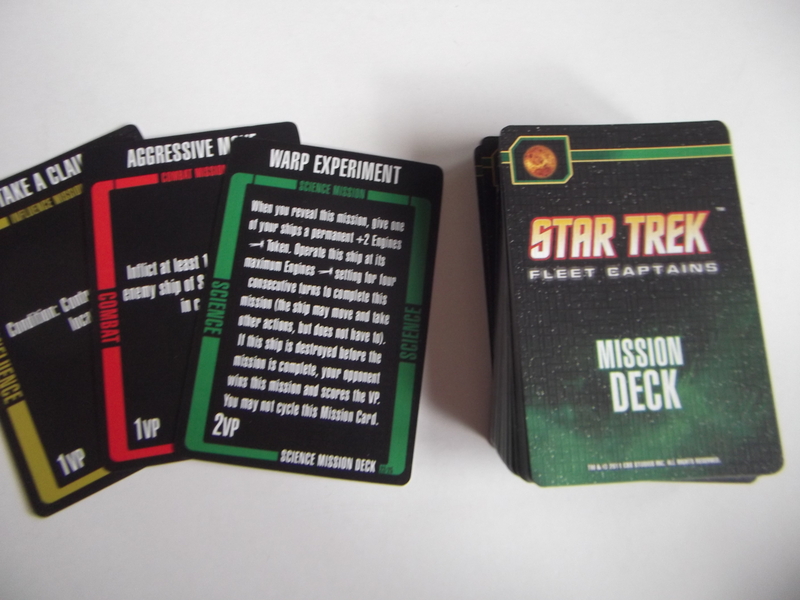 The card will also have any special rules the ship has (e.g. both the Enterprises have the Nine Lives special rule – when ever it was going to be destroyed roll 2D6 and if you roll a 12 its not destroyed and placed at your command post [deployment zone]) which adds some nice flavour to the game. The ships also have a Size Stat, and 3 mission stats – Science, Influence and Combat that are used to determine the number & types of missions you get in the game. 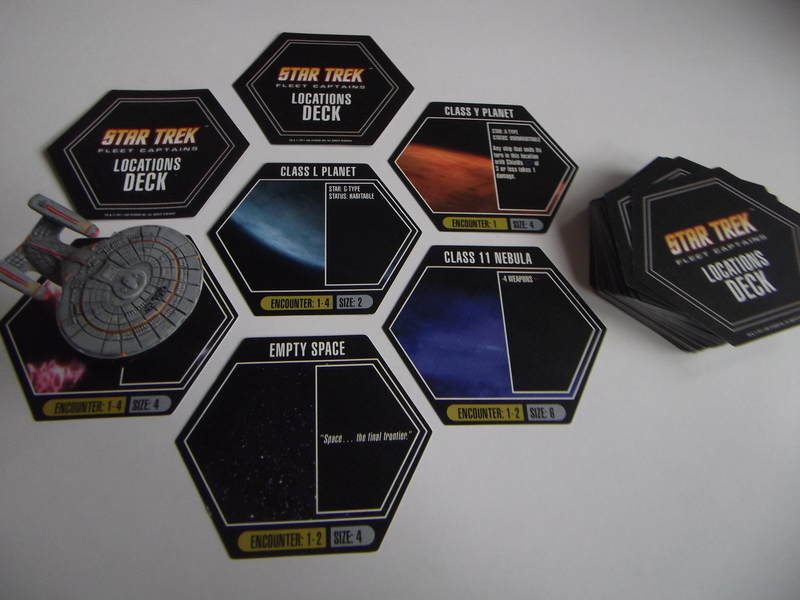 In addition to the ships you also get 50 location tiles, 200 command cards, 50 encounter cards, 76 mission cards and a whole bunch of tokens. So how does the game play? Well after reading through the rules I have managed to play (and lose) a game. Your victory goal is to collect victory points (VP) and all players decide before the game starts to the limit from 6-38. The first player (or team if playing a 4 player game) to reach that number wins. The rules recommend starting off with 10 VP as a standard game. Once the VP is decided, you then lay out the ‘board’. This uses the location tiles and are placed out in a hex-board like fashion. Again the rules recommend a 5×5 pattern for the board. The tiles are placed face down and are only revealed if when a ship moves to it or scans it from an adjacent tile. Some tiles have a ‘types’ such as star & planet classes as well as special effects. They all have a size showing how much movement it takes to cross the tile and an encounter number which is the chance of having an encounter when you first move into the tile. The encounters are a mix of god and bad events that can happen to your ship. Some grant you VP if you survive/succeed, others are just one-off events. Once you’ve placed the tiles you shuffle the Ship Cards and draw ships equal to the VP of the game based upon their Size. For example the Enterprise E has a Size of 6, whilst the Equinox has a Size of 1. If you exceed the VP, you replace the card and draw again until you get to the VP. As said each ship has 3 mission stats; Science, Influence and Combat, and once your fleet is selected you add up all of these to give you a total number of mission cards, then you draw the appropriate number of mission cards to create your mission deck. You then draw the top 3 mission cards and place them at your command post as your current missions. Whenever you complete a mission or discard one, draw another. Completing missions gains you VP (unsurprisingly). You also gain VP from some encounters and, for the more aggressive players amongst you, you gain 1 VP for each enemy ship you destroy. Once you’ve sorted out the mission cards you organise your Command Deck. This deck contains cards that provide your ships with bonuses, or your enemy’s with negatives and can be played as the situation dictates. This deck contains 40 cards chosen from 10 sub-decks available to each faction. 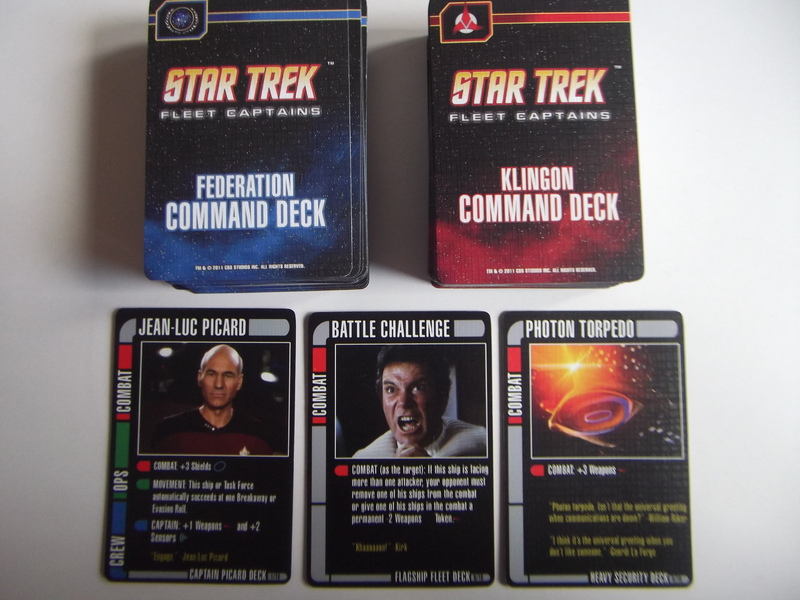 These sub-decks each contain 10 cards and are themed (Captain Kirk Deck, Klingon High Council Deck, Science of War Deck etc. ), so you get to choose 4 sub-decks to make your Command Deck. You always have 4 cards in your hand, replacing each card when you use one. Now that that’s the set up out of the way, its game time. The game uses an ‘I go, you go’ system in which each player can move all of their ships, adjust power once on each of their ships, play command cards and use up to 3 action points. Actions include cloaking, combat, influence, reinforcement, repair, scan & transporter actions. The game has a very strategic theme to it. Due to the size of the board you cannot make a line of ships that your opponent cannot push through, so you really need to think about where your ships go, what power settings you put them on and where to gain influence and build colonies. Many missions (especially science ones) require you to pass Sensor checks which means you need to put more power in the sensors, but this reduces your shields & weapons, making you move vulnerable to attack. So you have to think about where you’re going and what you’re doing. The ships can be grouped into fleets so you can put science vessels with a combat vessel to protect them. In short, once the game gets going there are a lot of ways to win depending upon your fleet; building starbases, completing missions, turning your opponent’s ships into space dust. And if you’re annoyed you didn’t get your favourite ship out, when one or yours is destroyed you can replace it with reinforcements. Cloaking is fun with your ships being replaced by tokens and allowing you to place echoes to fool your opponent. With the missions being tailored to your ships, each player is going to be after different things and with the abilities of your ships being different, it requires you to take on different gaming styles to win. This all combines to give the game a lot of replay-ability so you’re not going to get board with it any time soon. My thoughts on the game…9.5 out of 10. A fantastic miniatures-board game. 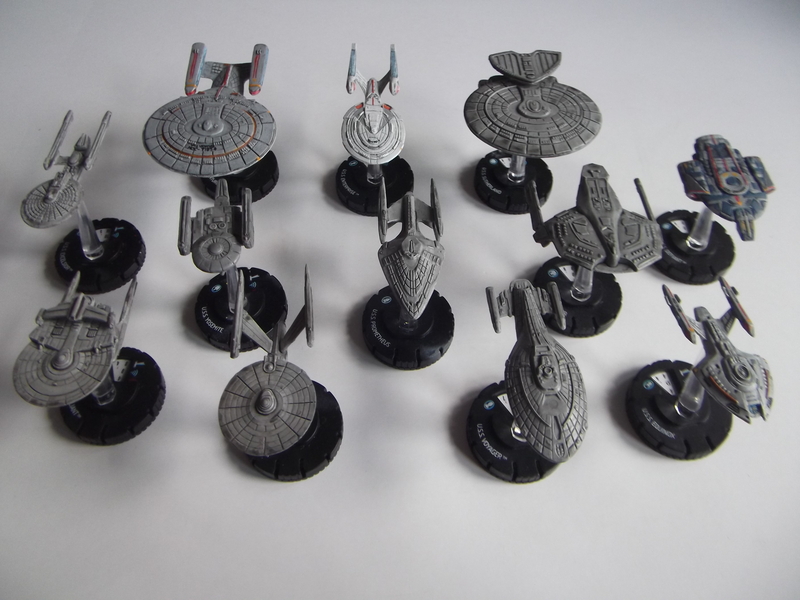 The miniatures are nicely made, with a decent amount of detail and are good reproductions of the ships from Star Trek. The cards are thick and of a good quality. The images used on them are taken from all 5 TV series (not including the animated OS) as well as all the films from the Motion Picture to Nemesis. The game play is fun and creative, not overly complicated yet allowing you to play out different styles & strategies, as well as forcing you to think tactically. The rule book is nicely made, and the rules themselves are very comprehensive and full of examples, leaving little for uncertainty about what it means. To be honest this game ticks all of the boxes; its classic sci-fi theme, miniatures that can be painted for those miniature gamers, a changeable board for the board gamers, plenty of strategy, uncertainty as to what your opponent is doing and multiple ways to win. A game I’d recommend to fans of the show as well as miniature and board gamers alike. What would I improve upon or like to see different? . . . urm . . . just trying to think of something . . . well for some reason there’s no Captain Sisko card, despite there being Kirk, Picard & Janeway (no Archer I can understand as the game is set more in the NG time), and with Odo & Quark in there. More expansions. 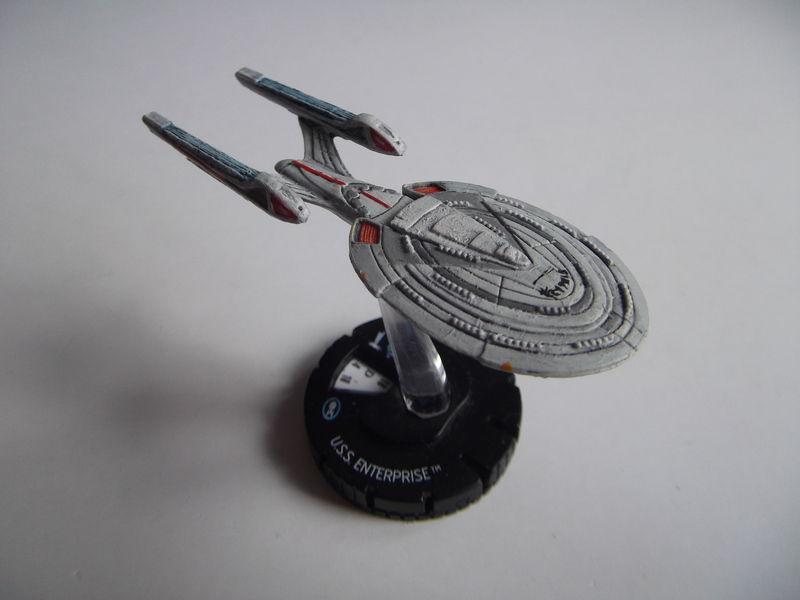 They’ve done a Romulan one (which I’ll probably get next month), and Wizkids Heroclix already do Cardassian and Dominion ships so it shouldn’t be too difficult to come up with a Cardi/Dom expansion. My only real disappointment is no Borg . . . guess you can’t have everything. . . that and how they’d work in game I have no idea. All-in-all worth getting. Do you suffer from army list writing fatigue? Does game imbalance bother you? Are your wrists tired from rolling bucketloads of dice to shoot, stab and wound your opponent? Are those elves starting to get on your nerves? 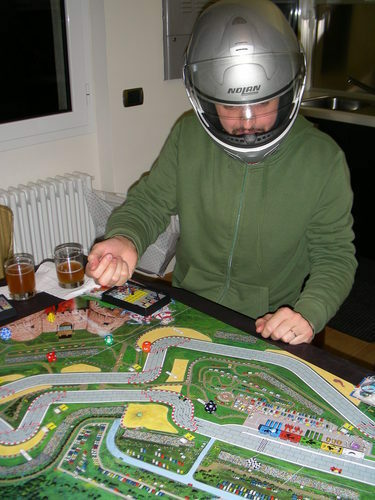 Then what you need is Formula D – The game of manly motorsport! What could be more studly than pretending to drive a little plastic car around maps of world famous racetracks? Impress your friends as you manage to stop the required number of times in the corners without making your little car spin out and catch fire! Pick up babes as you hit maximum speed and actually roll an entire D30! Watch the girls swoon as you make a pretend pit stop and move your damage markers about! Seriously though, Formula D is a good fun little game when you just want to have a non-confrontational, balanced and easy pick up and play gaming session. Strategy and luck both play a part, but the races seem to be pretty close with our experience so far being that the race comes down to the last die roll every time. If you like the sound of it then go check it out! WARNING: Attempting to drive a real car with dice can be hazardous. The publisher accepts no responsibility for involuntary vroom vroom noises made during play. Buying a sports car and driving fast will not solve your midlife crisis. Always wear a seat belt. Due to the fact that I have misplaced the cable that connects my camera to my PC I couldn’t take any photos of the Space Hulk board with its completely unpainted miniatures last night. As Servitob has already mentioned we finally managed to give the thing a go. I’d almost forgotten that I had the game considering it arrived, got the stuff punched out of the card stock and the minis assembled within a couple days and the with the chaos of my wife going back to work after the school holidays it got “tidied” away onto a seat under the dining table. Malifaux then dropped through the letterbox and I’ve spent the past week reading through those rules and enjoying the world come to life as I’ve done so. But I digress, this is another Space Hulk post. The mission book is composed of twelve missions that make up the campaign, it was obvious therefore that we’d start with mission 1 in order to ease us into the game. The map is mainly corridors with only a few rooms at intersections, the mission is affectionately called “Suicide Mission”. You get one squad of the Blood Angels Terminators against the ravening horde of Genestealers, the aim being that you need to use the limited ammo Heavy Flamer to torch the room that is furthest away on the map. You’ve only got 6 shots with the thing so conserving it until that optimal time is just one of the things you’re balancing. You get the Heavy Flamer dude, a Sergeant with Power Sword and 3 dudes armed with Storm Bolters and Power Fists. We played the mission through twice with Servitob commanding the Emperor’s Finest first and then swapping over. The first time we played (me commanding the alien menace) was a victory to the Marines, i was afflicted with more than a fair share of 1 “blips” (when Genestealers enter play they are represented by a blip token which can be between 1 and 3 actual Genestealers). Being only the second game ever of Space Hulk I also ended up learning respect for Overwatch as my horde of single ‘Stealers got picked off as they were forced to march into a hail of fire to get anywhere near their quarry. I only managed to off one Terminator, it was, however, the Sergeant which meant that Servitob could not repick his Command Point token at the beginning of his turn anymore, although it didn’t seem to really hinder him. After I had collected what I thought was a solid force I marched into combat and got wasted, the Blood Angels then walked through opened the door to the objective room and bathed it in the flames from the Heavy Flamer. Good game and I reckon that I should have held off my attack for another turn or two in order to get more numbers, hindsight is wonderful after all. We switched sides and I deployed the Marines different to Servitob and likewise he did with his blips. Playing from the other side was interesting as you watch those blips slowly encroach upon your limited forces not knowing what quantity of horrors they contain. Having learnt the value of Overwatch I used it on a couple of guys per turn, usually using my Command Point allocation in order to do so. I lost a Marine early on (protecting the entry room from a Genestealer entryway and another covering the chap who bought it. However, the single most impressive guy was my Sergeant, he gunned down numerous aliens as he led the charge through the Hulk then he sat himself on Guard (the melee version of Overwatch introduced in this new addition) and saw off every single beast that tried to kill him. Considering that you kill a Genestealer in shooting on a 6 you’d be surprised how often that number appears when you’re rolling two dice. It does remind you of the evac scene in Aliens when Vasquez yells out “Let’s ROCK!” and all hell breaks loose. Eventually as I was getting very worried that I was going to fail I pulled a 6 out of the cup for my turns command points and then checked the required movements I’d need. My Sergeant gunned down the first Genestealer in his way and used the rest of his moves to charge into the oncoming horde, I then spent all my Heavy Flamer guys action points and then all the Command Points by turning up the final corridor, opening the last door and then razing the objective room. It was an all or nothing move for me and it paid off, the tension was palpable at this point, at least one of my Marines was going to get it in the face if I took another turn and the numbers were escalating while mine were quickly dwindling. Luckily the superstar Sergeant showed why he’s the leader with impressive combats all the way. We managed to play through that mission twice in just over an hour and it was a blast. The second mission’s map is a lot bigger and I think we may be cracking it open tonight to carry on from where we left off yesterday. As I’ve already given a quick overview and review of the rules, now that I’ve played it I can give it a heartfelt 10/10 in terms of gameplay. As the Marines player you really feel up against it, managing your limited resources in order to do something which when you do, feels suitably heroic, especially when you can see the odds stacking against you. The fact that everything you need to play comes in the box is a bonus considering what you need for all other GW games and I am very happy I spent the money and pre-ordered, this is going to be taken out and used at every available opportunity. There were no rules issues or points of contention. We looked up things as and when needed but really, I don’t think (other than the specific weapons rules) we’ll be diving into the rulebook very often. It plays smooth and fast and if anyone can find a copy and is wondering whether to take the plunge, go for it, you won’t regret it! (For some reason this post was sitting in my Drafts when it should have been published Monday morning).